Countless scholars, experts and ordinary folks throughout history have touted the importance of building and maintaining trust. Noted educator and author, the late Dr. Stephen R. Covey, often wrote about its importance to relationship building. “Trust is the glue of life. It’s the most essential ingredient in effective communication. 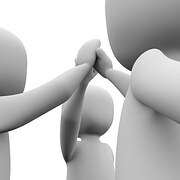 It’s the foundational principle that holds all relationships.” Covey continues, “When the trust account is high, communication is easy, instant, and effective.” When individuals trust each other, they have empathy for one another, forgive easily, and give each other the benefit of the doubt. Unfortunately, trust is one of those gifts that can be easily taken for granted. Trust is built over time, when intentions, words and actions align. Yet like a dry forest in the path of a raging wildfire, it can be destroyed in just a moment, damaging relationships, undermining teams, and negatively affecting performance and satisfaction. To learn more about OSU Extension’s educational programs focusing on leadership and organizational development, visit go.osu.edu/seekexcellence. Treat people the way you want to be treated. 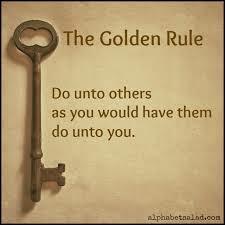 It’s the golden rule – or so we’re told. But perhaps a deeper, more effective way to interact with others is to treat them the way they want to be treated. Reading one self-help book or attending a Myers-Briggs workshop will quickly illustrate that people can be motivated by and comfortable with very different things. So, choosing to relate to others only in a way that is comfortable to you, might actually be a bit short-sighted. A few years ago, I learned this lesson the hard way – by completely blowing it. I was teaching with a respected colleague who has a personality and teaching style that are very different from mine – and I enjoyed that balance when we worked together. For about a year, we met monthly with a difficult group of participants. Most of these folks didn’t seem interested in what we were sharing; however, they were required to attend these classes to receive food vouchers for participating, so they would reluctantly show up for the sessions. We had a new group of participants each time, so it was difficult to build rapport with them. When the class would roll around each month, I found myself dreading the experience, and I knew from our conversations that my colleague felt the same way. After each class, I would be sure to take time to thank my coworker for her effort. I expressed how grateful I was to have her share her expertise with the group. Since I knew that teaching these classes could be challenging, I wanted to be sure that she knew how much I appreciated her willingness to continue to work with the less-than-friendly participants. I thought that pointing out my continued gratitude would be motivating and would let her know that her efforts were well-appreciated – at least by me. That was such a profound teachable moment for me, and I was very grateful to her for sharing her feelings (although I refrained from expressing my gratitude). Her honest, well-expressed comments helped me realize that I had only been thinking of my own patterns of communication – what I liked and positively responded to. I hadn’t really taken into consideration her personality and how to effectively communicate in a way that resonated with her. In other words, I wasn’t treating her the way she preferred to be treated. While my intentions were good, my execution was all wrong. Interacting with people in meaningful and fulfilling ways requires us to observe, ask, listen and learn about the folks who fill our lives. The process of relationship building can be complicated, confusing…and wonderful. Connecting with another person involves empathy, understanding and, many times, the need to move outside of our own patterns of behavior, thought or comfort. Opening ourselves to the complexity of others, without judgment, enables us to recognize that while we may have many similar traits, experiences and beliefs, we are indeed individual and unique. Visit go.osu.edu/seekexcellence to discover the educational programs and resources that can help you and your team learn more about building strong relationships.